We can always use more help. How great would it feel to help a family find it’s perfect match? Or work a special event that raised funds for the pets in our care? There are so many ways you can help as a volunteer – from getting down and dirty with the pets to clerical work in an office. And we appreciate every hour. Already a volunteer? Log in to record your hours. We love our volunteers. You should be one! We know that we could not do everything we do for pets and the people who love them without you, our extraordinary, dedicated volunteers. Volunteers donate more than 150,000 hours in a year. Wow! We truly cannot do without you! 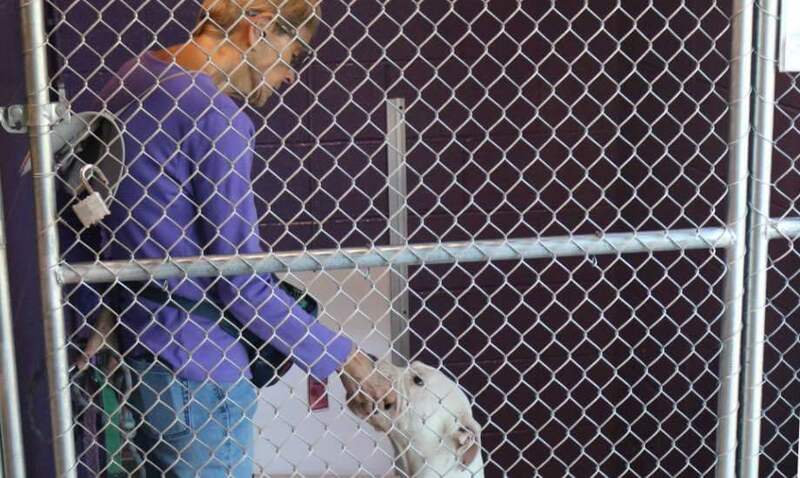 Dog Walkers/Handlers enjoy an immense amount of physical contact with the dogs in the adoptions kennel area. The main duties of the Dog Walker/Handler are to ensure the dogs are exercised and socialized. Many shelter dogs are not trained and/or socialized, but have wonderful temperaments and just need some extra TLC. Once Dog Walker/Handler volunteers have completed the Animal Handling Class, the Dog Walking Class, and four walks with a volunteer mentor, they have the flexibility to walk dogs anytime between 7:00 a.m. and 10:45 a.m., with exception of summer hours (6:30 a.m. to 9:30 a.m. due to the heat). Note: On the job training will be provided as needed. Cat Care Assistants enjoy some contact with cats in both the Community Cat room and kennels, and other cat residents that are in the care of the HSSA. The main duty of this position is to make sure the cats, kittens, rabbits and rodents are well cared for and comfortable. Basic duties may include cleaning and setting up of cat kennels, washing dishes, stocking supplies, feeding and watering. In addition, Cat Adoption volunteers assist visitors by answering questions about the adoption process and providing information about individual animals. Cat care volunteers must enjoy interaction with the public. They enjoy the flexibility of volunteering in cat adoptions anytime that we are open to the public; Monday – Saturday 11 a.m.–6 p.m. and Sunday 12 – 5 p.m.
Level 2 Dog Walkers can have an immense impact on a shelter dog's life. These volunteers provide additional training and enrichment for shelter dogs. They are able to work with dogs not yet approved for the adoptions floor, as well as all levels of adoptable dogs. From the tiniest puppies and kittens to recuperating seniors, there are always pets at the Humane Society of Southern Arizona in need of a little extra help. The HSSA’s Foster Care Program provides care for animals not yet ready for adoption. Volunteers care for animals in their own homes, providing animals that are underweight, underage, sick or injured the time they need to grow or heal. Our foster parents saves thousands of lives each year and there is always a need for foster parents. Foster care falls under the umbrella of our Volunteer Program. We’d love for you to be a full volunteer. But if you want to ONLY foster, we understand! Once you complete foster care training, you’re ready to go! Our pets can require foster care for a few days or a few months. But the commitment is yours. Even if you can only care for a pet for a few days, it goes a long way to helping them. 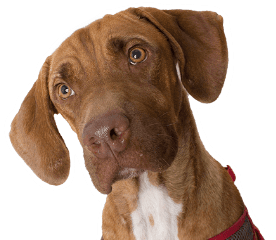 We will do our best to give you an accurate estimate of the length of stay before you commit to fostering particular animals. We will respect your desire to foster certain animals and will be considerate of your situation. We want to make sure our animals are placed with foster parents who can give them the best care. And we never leave you on your own. There is a network of Foster volunteers and staff members who will be happy to answer questions (and quell your concerns!) about any pets you’re fostering. We’ll never ask you to take on more than you can handle! Volunteers must be at least 18 to be the primary foster volunteer. Children younger than 18 may foster along with a parent or guardian. You must have reliable transportation to bring the animal(s) to and from the main shelter for necessary veterinarian examinations and vaccinations. To join as a volunteer, fill out the volunteer application. To foster only, fill out the foster application. Either way, we are so grateful that you want to help us help pets! If there is anything we understand at the Humane Society of Southern Arizona, it’s the strength and importance of the human-animal bond. Anyone who has gazed into a dog’s eyes when they were stressed or sat with a cat when they were sad, knows the effect pets can have in our lives. Through HSSA’s Pet VIP program, we share this unconditional love with those who need it most. Our teams bring their trained and certified pets to people of all ages in more than 80 facilities such as nursing homes, hospice centers, hospitals, mental health centers, children’s facilities, libraries, schools, and special events. Pet visitation is a wonderful and vital therapeutic mode of promoting and maintaining wellness in our community. Our pet visitation volunteers witness the emotional and psychological benefits of this therapy with each visit. A national study shows that contact with an animal lowers blood pressure, decreases cholesterol levels, reduces anxiety, boosts the immune system, decreases aggression and increases socialization and communication. be able to pass the AKC Canine Good Citizen Test. You must also be able to attend a six-week training class/evaluation. Certification through HSSA allows you and your pet to visit registered facilities in the Tucson area. Dogs aren’t the only therapy pets. Cats, rabbits, birds, and horses can also qualify as with proper training! Please contact our Pet VIP Coordinator at vzimmerman@hssaz.org or 321-3704, ext. 153, for more information on the Pet VIP Pet Visitation Program. This top-notch store benefits pets, but it has something for everyone. The HSSA Thrift Store sells everything from books and accessories to appliances and furniture – and yes, great stuff for pets! Best of all, purchases are tax-free and every penny goes to help pets and the people who love them! The HSSA is in need of hard working, reliable volunteers who are not afraid to roll up their sleeves and get a little dirty for the sake of animals. Duties of Volunteer Phone Operators are varied and include: answering the shelter phones on Saturday and/or Sunday, receiving Lost and Found Reports over the phone, and making follow up calls to new adopters. Assignments will vary. Volunteers interested in phone work should inquire at the Volunteer Office. Foster Adoptions on the Streets of Tucson is an exciting program to help get our animals into their forever homes faster and with a lower return rate. Volunteers can take a dog out to dog friendly places for the day, weekend, week or until the dog is adopted; whatever works best for the Volunteer! The Volunteer talks to people about the dog. When the right match is found the Volunteer arranges to meet the adopter at the Main Campus or one of the PAWSH stores with the dog to complete the adoption. Volunteers may also learn to do the adoptions themselves on the spot! To participate in the FAST program you must either be a Foster or Dog Walking volunteer. For more information on becoming an HSSA Volunteer please email kjanssen@hssaz.org or call 520-321-3704 ext. 134. SSA welcomes community and high school groups to schedule service events to complete projects that will provide comfort and enrichment to the animals in our care. These events are specifically for groups interested in one-time volunteer opportunities. In lieu of an in-person event, all groups are welcome to craft and donate these items on their own time. These groups will be tasked with cleaning public areas or making items that are used often at HSSA. Each volunteering event is a maximum length of three hours, including two hours of service with a one-hour tour of the HSSA campus. Each group can schedule a shorter time period if they choose. We can accommodate groups of 10-20 participants. Adult and High School Community Service Groups are hosted once a month on a first come, first served basis. All adult groups participating in a service event are required to purchase 1 yard of fleece (in any color or design) to make cat beds. If purchasing at JoAnn Fabrics, you will receive a 20% discount if you mention that the purchase is for HSSA. Be able to make a six-month commitment. Be at least 15 years of age to volunteer. Have the written permission of a parent or guardian if you are between 15 and 17 years old. Attend a Volunteer Orientation. Once your application has been approved, and you will be asked to submit an orientation fee of $15 per person and be invited to an upcoming Volunteer Orientation. Be willing to demonstrate a positive, customer-oriented attitude when dealing with the public as well as a collaborative, teamwork approach when working with staff and other volunteers. Volunteers who work directly with animals will require additional training. Humane Society of Southern Arizona has a wide array of volunteer opportunities that are typically fulfilled by volunteers who work with or in and around cats and dogs. To safely and effectively serve as a volunteer, volunteers need to possess the following physical, mental, and emotional capacities. Please note: some accommodations can be made, please contact the Volunteer Office to discuss any of these capabilities that are difficult for you. Ability to use both hands simultaneously (example: open cage door while handling an animal). Sufficient level of manual dexterity, to collar/leash animals and handle small tools. Ability to walk unaided on unpaved, uneven, rugged and sometimes slippery terrain. Ability to stand for significant periods of time. Average vision (with or without correction) to move safely around the building, to be able to observe animal body language without difficulty, and to be able to read notes on animals’ paperwork. Average hearing (with or without correction) to hear if animal is growling or making sounds indicating fear or pain. Ability to hear calls of alarm such as audible warnings from others or sirens. Ability to maneuver well in tight spaces. Must not have strong allergies to animals or to chemicals, such as those used in grooming or cleaning, that can’t be managed by medication. Ability to deal with strong and unpleasant odors, fleas, ticks, feces and possible wounds or injuries to animals in our care. Ability to cope with a very loud environment. Ability to reach cabinets and cages at least six feet in height, using a step stool as needed. No known concerns about tolerating exposure to zoonotic diseases such as ringworm and mange. Ability to understand, remember and follow instructions and procedures. Good communication skills; reading, writing (example: understand instructions such as quarantine). Ability to receive, incorporate and sustain instruction and feedback. Ability to remain calm with animals who are upset, behave with confidence and sensitivity, show good judgment and act appropriately in these situations. Ability to cope with unexpected animal behavior without assistance. Ability to understand Humane Society of Southern Arizona (HSSA) positions regarding our Animal Bill of Rights, Spay/ Neuter Policy, Euthanasia Policy, Confidentiality Agreement and other key animal welfare issues and an ability and willingness to appropriately and accurately represent those policies when interacting with the public or otherwise representing HSSA. Where do I go for Volunteer Orientation? More questions? Contact our Volunteer Department. Looking for Group Volunteer Opportunities? We have different opportunities for community and student groups to complete projects to help our pets. Please contact our Director of Education and Community Outreach, Inge Koopman-Leyva, or call 520-321-3704, ext. 142 for details. If you need to complete court-ordered community service, call our Thrift Store at 327-0010. If you are a teacher looking for a class project, especially for younger students, please check out our Service Projects for Children through our Education Department. Do we have you hooked?